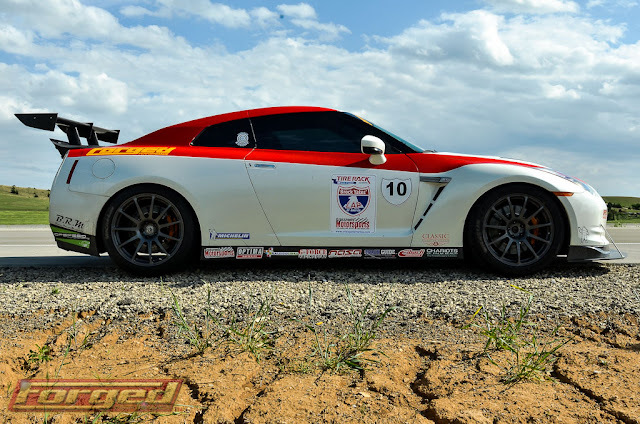 Catesby Jones- Forged Performance Nissan GT-R.
Day 5 of the 2012 One Lap of America sees the traveling troop head to Motorsports Park Hastings in Nebraska. Nissan GT-R's occupy #1, #2, #3, #4, #8, #12, and #24. After the first event. I can't believe that the Speedconcepts car, and the Forged car tied down to the thousandths of a second. This may be revised? And the number 4 cars tied? Seems like an error. 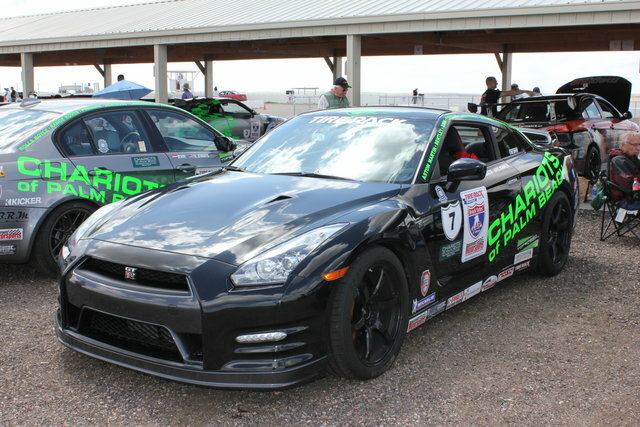 Jason from Boulder Nissan posted a few pictures from yesterday. 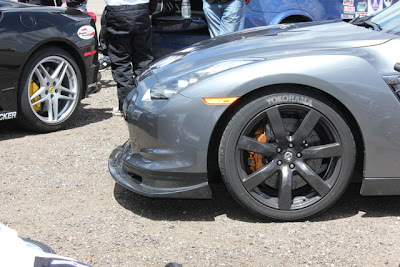 AP Racing J-hook rotors. The rotor of choice for One Lap of America GT-R's. Hastings #2. Amazingly enough, TopSpeed once again finished in #1, Forged Performance in #2, and Speedconcepts in #3.